I visited Johnson Space Center in Houston TX during a research trip for the Shuttle Atlantis project to help interview astronaut instructors and test out the official NASA Shuttle training simulators. It was humbling to be among all the staff and astronauts that have kept NASA’s manned space flight program running since the 1960’s. 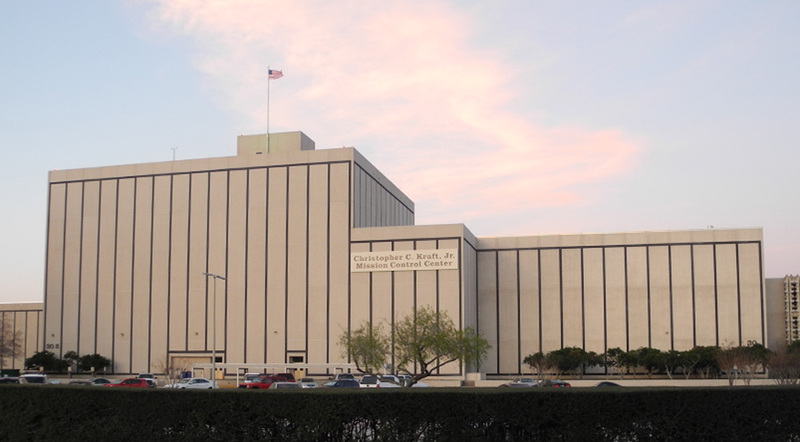 The Christopher Craft Mission Control Center building is where mission control is based. It is hurricane proof and as long as the flag on top of the building is raised it means there is an American Astronaut in orbit. The original Apollo-era mission control room is still preserved exactly as it looked during the moon landing, Apollo 13 and early shuttle missions. 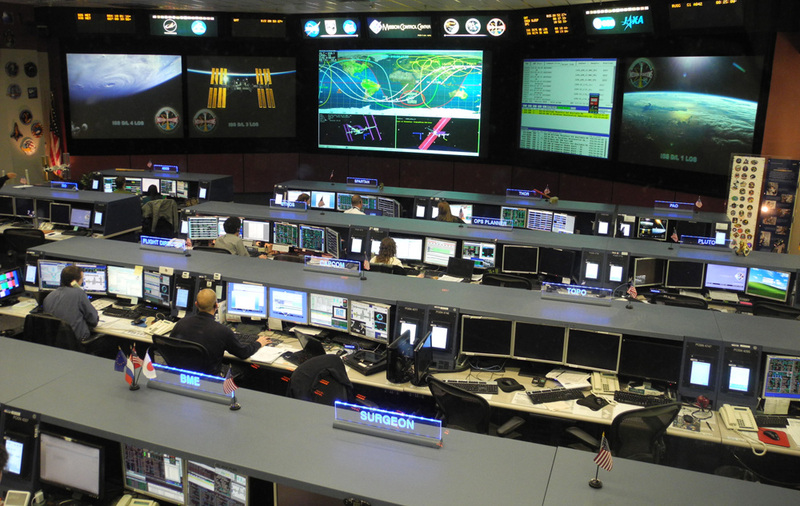 The newer mission control room is the base of operations for the International Space Station. 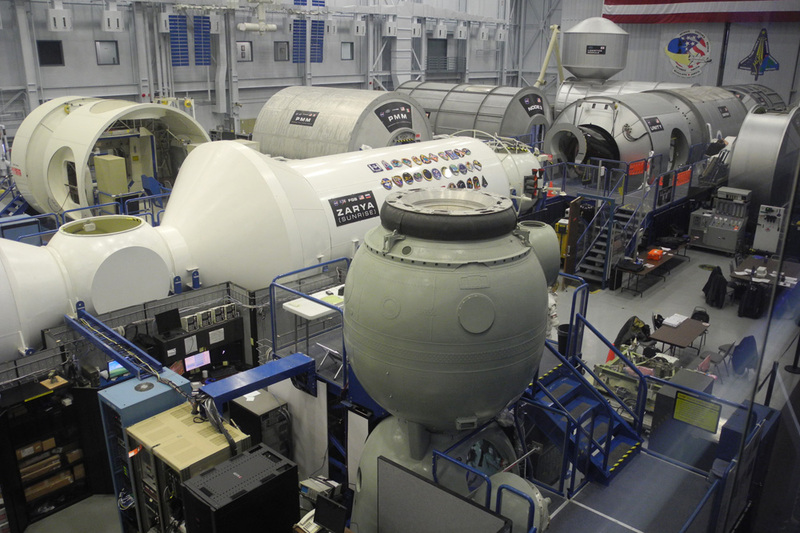 The astronaut training center in Houston contains a full-scale mockup of the ISS. They were training the next crew in what to do during a fire aboard the station. The room also contained prototypes for Mars/Lunar rovers. 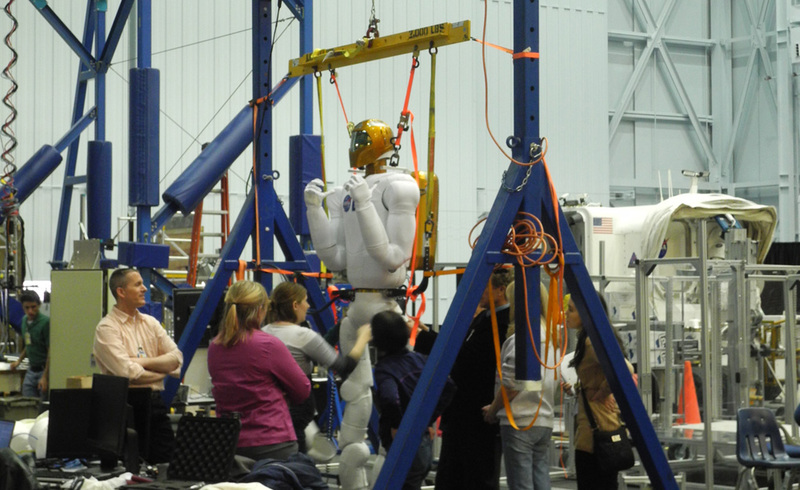 Engineers were working on a new concept called Robonaut, a robotic astronaut that could potentially take on the risk of spacewalks instead of human astronauts. 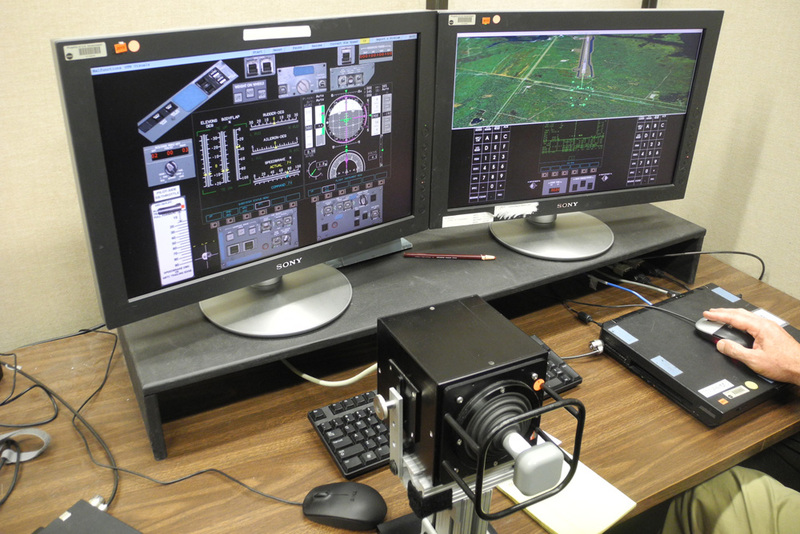 One of the simulator technicians agreed to boot up the software for training astronauts to fly the Shuttle. It was the first time he'd started it in almost three years but was necessary to get a feel for what it is like to fly the shuttle on approach and landing. 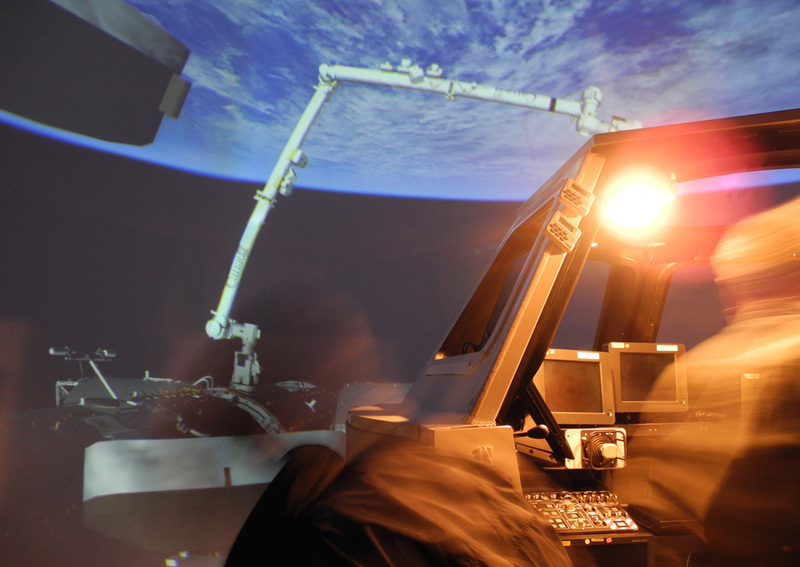 He also started up a more sophisticated simulator in a room with a two story projection that put an astronaut trainee in the cupula aboard the ISS. He loaded a mission that allowed the astronaut to control the robotic arm and capture the SpaceX Dragon capsule, the first commercial capsule to successfully dock with the station. 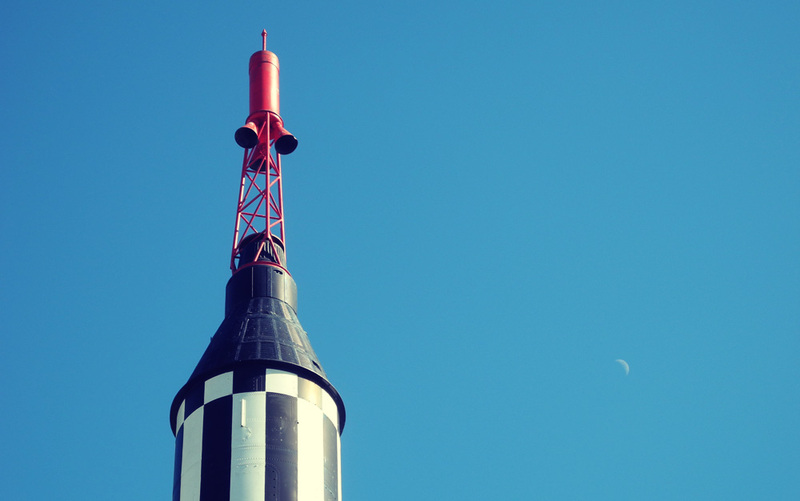 A Mercury program rocket on display at Johnson Space Center.